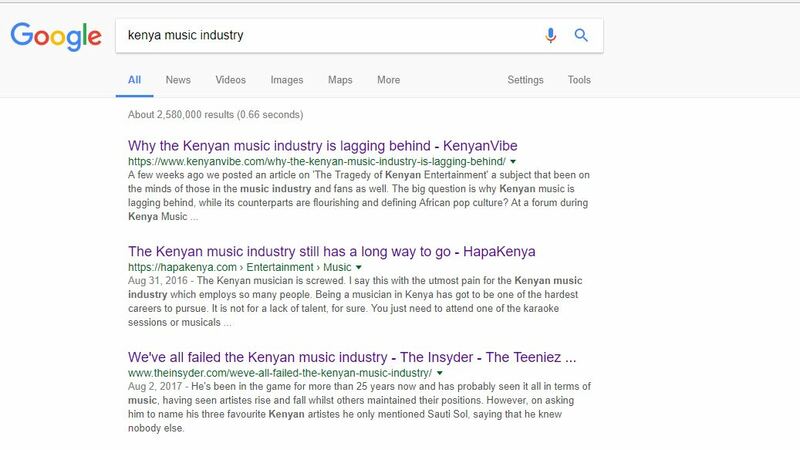 When you Google the “Kenyan music industry”, your search result will paint a gloomy picture. A lot has been written about the music industry’s shortcomings yet the industry has grown in leaps and bounds over the last decade, producing acts that have competed with the crème de la crème locally, regionally, across the continent and, dare I say, internationally. Among the issues raised, with regards to how the industry has failed, include a lack of professionalism, content of poor quality, piracy, indifference to collaborations, no support from institutions and many others. These issues have plagued the industry for years and as much as things seems to change, they also seem to stay the same. That being said, there have been tremendous improvements within the industry giving us hope that we’re finally seeing the light at the end of the tunnel. 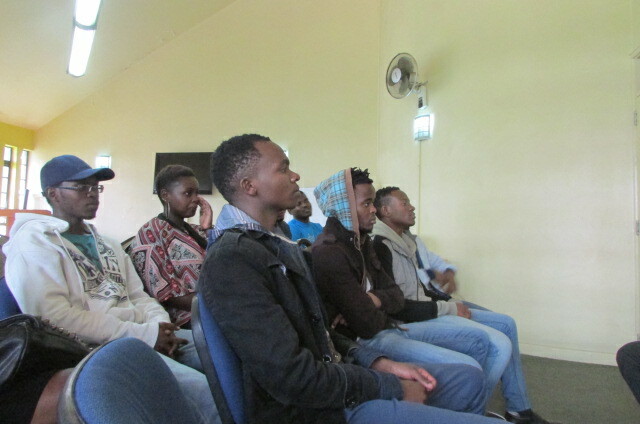 Young artists can look up to a new generation of musicians who are working hard to revolutionize the industry and there are many platforms offering an avenue for discourse on issues facing artists in Kenya and mentoring from those who’ve been in the industry for years. One such platforms is Nufaidi, a forum that brings together established, and upcoming, artists together with other industry stakeholders in an effort to engage in a candid conversation about the Kenyan music industry. Nufaidi, an off-shoot of Lahani, loosely translates to “to benefit” and is the brainchild of Kibali Muriithi, curator and social connector. The last one this year was held at the August 7th Memorial park on the 3rd Saturday of November (The event is held bi-monthly on the 3rd Saturday of the month). 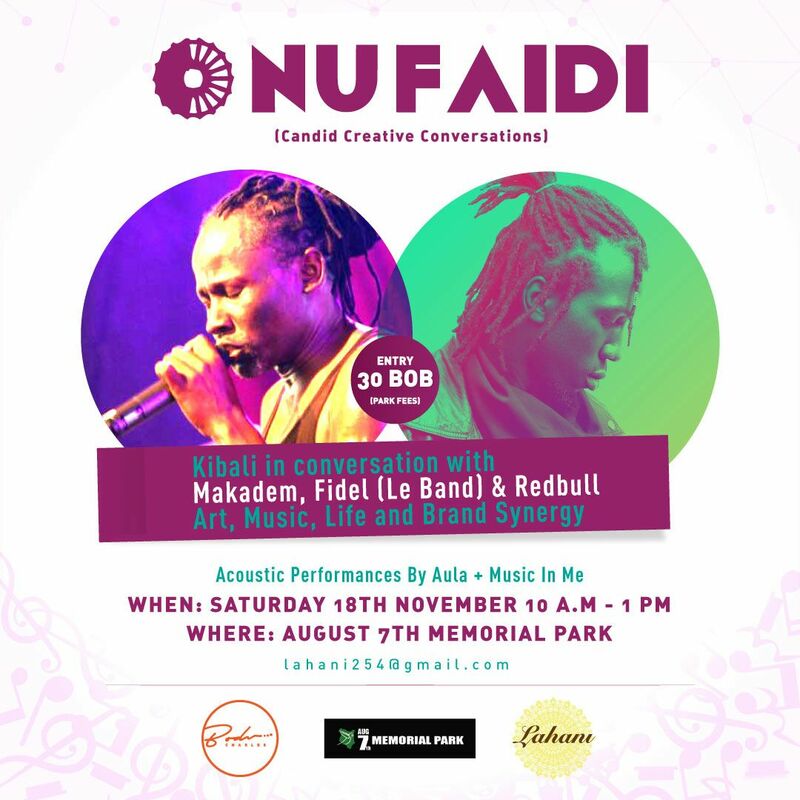 It brought together a panel consisting of Fidel, from Le Band, and Makadem. Included was also a live acoustic performance by Music in Me Band. The two started off by narrating to us their musical journey which gave an interesting insight into the music industry due to their diverse experiences. Makadem, who’s been in the industry for over a decade, told us of his humble beninging 🙂 and random introduction into music through his elder brother’s band. For Fidel, it was a courageous decision to focus more on his musical career than his legal one. The two represented the experienced and new sides of the Kenyan music industry. Among the issues discussed included the Kenyan music identity problem that has been the subject of many discourses in the past. How do we define our music? The Tanzanians have Bongo and our brothers and sisters in the West and South of Africa have developed distinct sounds that sets them apart. Yet, when you asks us to define Kenyan music you will get a wide range of view points but rarely one line of thought. There is also the matter of capacity building within the industry. There is no question that the Kenyan industry is filled with immensely talented artists but we haven’t done enough to support other areas that are just as important especially talent management. How many musicians in Kenya have managers and good managers at that? Not just managers, there are many other shoes to fill such as publicists, distributors etc. The artist role in society sparked a heated debate especially with how politics has permeated all aspects of our lives in the country. Is our industry doing enough to address social issues such as extra-judicial killings? Is the artist main responsibility to themselves or to society? All in all, it was a great session and amazing opportunity to bring together persons with an interest and love for the music industry. Nufaidi and many other similar platforms like it are giving young artists not just a voice but access to those with a major stake and experience within the industry. This, I believe, is vital if we’re to build a generation of musicians that will push the Kenyan music industry to heights we never though imaginable. What you need to succeed in the music industry is mostly dependent on your personal journey but there must also be an environment that enables this success. Luckily, we’re working our way towards such an environment and have a host of amazing acts to look up to.